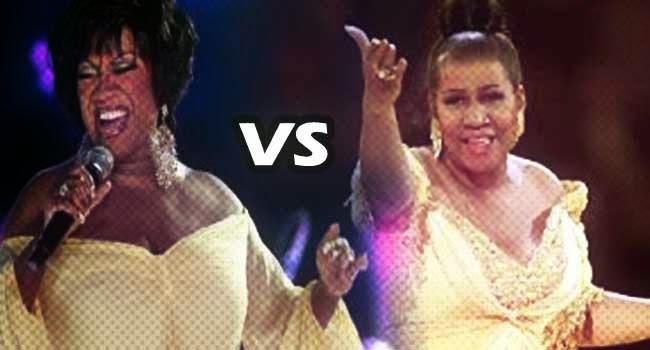 Diva Devotee: [Battle] Aretha Franklin Vs. Patti LaBelle: Which Is The Better Singer? [Battle] Aretha Franklin Vs. Patti LaBelle: Which Is The Better Singer? These two iconic Divas have had an alleged feud since WAAAAAAAAAAAY back before most of us were even born! Admittedly it seems one-sided, but still, you'd have hoped the animosity would've dissipated as time passed and the pair took their place in the pantheon of Legendary Divas. In their prime, this duo had power, range, control and multi-tonal instruments that remain unmatched till this day. Imbued in their instruments was a passion forged in the Baptist Church and fortified by living, and triumphing, in an era where prejudice and discrimination against African Americans and women was prevalent. Perhaps it was little wonder they became so fierce; it was, after all, the only way they were going to make it in a world where the decks were stacked against them from the get-go. Both Legendary Divas in their own right, but which of these iconic women would you say had the BETTER voice, and why? Comment and vote below!